It’s the perfect social event if you prefer to go out and about in daylight! 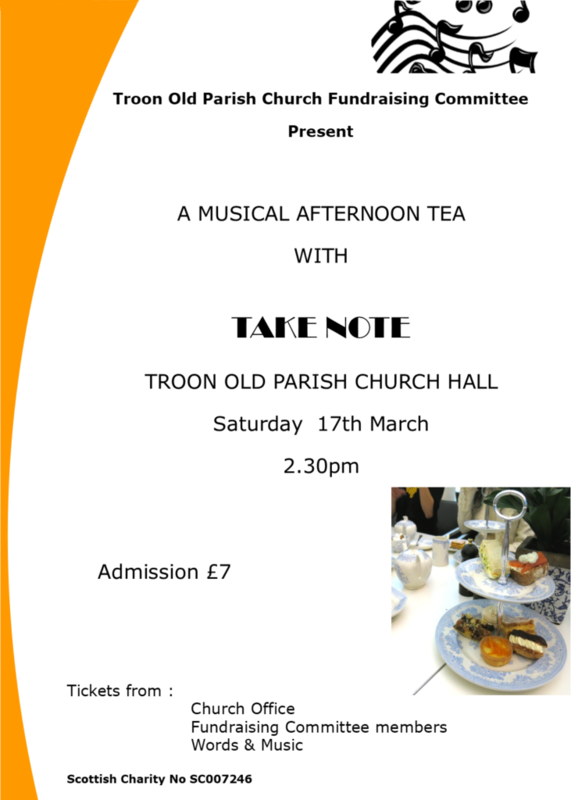 Tickets priced £7 include afternoon tea and are available from Words & Music, Fundraising Committee members, the Church Office and the Saturday Café. ← Previous Previous post: All God’s creation is very good!